Tamanna Paramedical Institute is one of the oldest Paramedical Institute of Uttar Pradesh and the First at Allahabad. Here at Tamanna we are working with a mission of changing the face of health care industry by providing the best paramedical to the country. 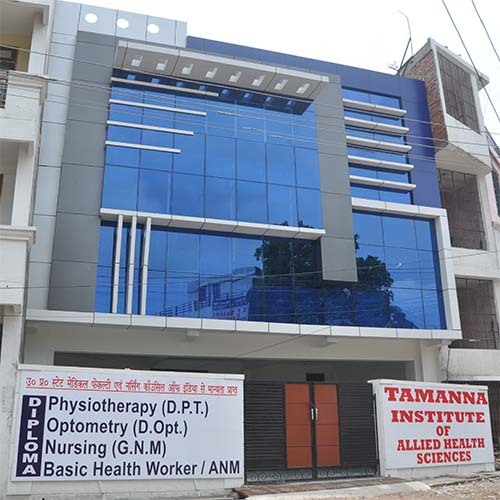 Tamanna Paramedical is recognized by Uttar Pradesh State Medical Faculty and Indian Nursing Council, New Delhi for their courses like Diploma Physiotherapy, Diploma Optometry, Female Health Workers and Diploma General Nursing and Midwifery. We have an associated 50 bedded hospital, which is fully equipped. Our students are also sent to some of our other associated hospitals and different Govt. Hospitals of Allahabad. Medical camps are organized in rural areas, where our students participate and directly interact with the patients. These medical camps help the students get lot of exposure in dealing with the patients, as well as variety of medical problems, they are able to deal with. At Tamanna we also encourage students to attend seminars, conference and workshops etc. Tamanna Institute of Allied Health Sciences is one of the best institutes imparting various para-medical courses run by U. P. State Medical Faculty and Indian Nursing Council New Delhi. This institute is working with the objectives of fulfilling the short fall of para-medicals in the country and the world. We also know that medical care will not be upto the mark without having fully trained paramedicals as part of the medical care provided team. Institute believes in giving the best and providing the best. Here at Tamanna we try to develop the total personality of a student who can really compete in this competitive world. Our institute has the faculty consisting of Doctors, Physiotherapists, Optometrists, Dental Technologist, Nursing experts, Clinical Physiologist, Staff Nurses, etc, under the guidance of whom the students are trained and developed. 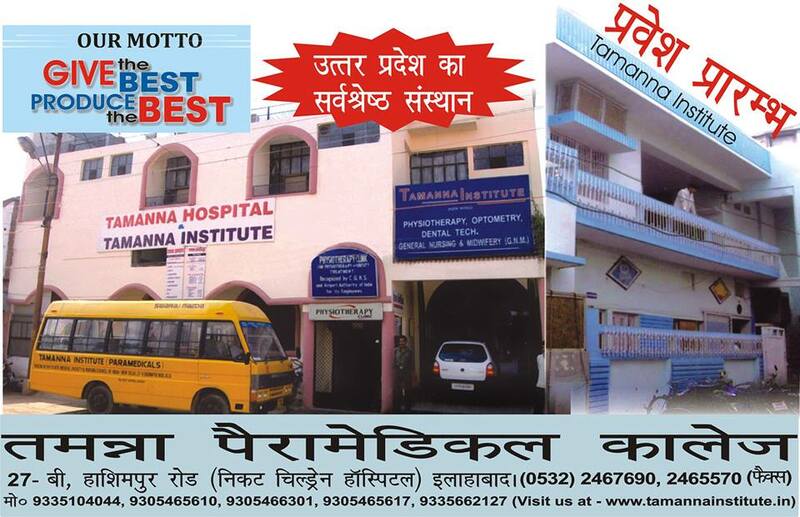 Tamanna Institute is located at Hashimpur Road, Near Kamla Nehru Hospital, Allahabad-211002.